Rami Ayari is a freelance journalist who moved from Tunis to Washington DC in 2003 where he earned his Bachelors Degree in English from the George Washington University. 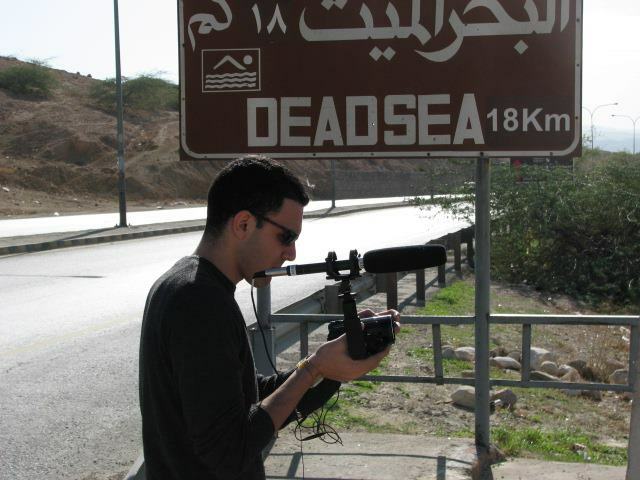 His work as an intern covering New York based protests and developments for Al Jazeera’s United Nations bureau earned him a role as a freelancer that he still holds today. He has produced news packages on a variety of stories ranging from Palestine’s application for full UN membership the 66th General Assembly to the health effects of the 9/11 attacks on first responders. Ayari also covered African soccer for Goal.com. During the summer of 2010, he traveled to South Africa to blog about Algeria’s participation at the first Africa-based FIFA World Cup. Ayari’s 2010 move to Brooklyn, NY, where he currently lives and works, and the recent shifts of his native Tunisia’s political landscape, have shaped his ambitions and spurred his desire for meaningful cultural contribution through video storytelling. Following your work…and Tunisia in general. Things are looking more peaceful than they were last winter. true, true. things are looking better indeed. i’m cautiously optimistic because things could degenerate quickly depending on current events and the state of the economy. long term, i think we’ll be fine. more than fine even. it’s just gotta be a little rough short term. i think we’ve weathered the storms pretty well so far and i hope we continue to do so. we’re definitely faring better than other countries that had uprisings in the region and i’m thankful for that. thanks for your interest and your comment! I agree. Best to be pragmatic. But to be honest I see women like Amira Yahyaoui as the voice of peace. Precisely because she has struggled to gain her own political voice, and still doesn’t resort to demonising the opposition. Empowering these women did not equal disempowering others, as crackpot Salafists suggested, and Amira ‘gets’ the economics. There’s a sense of justice being done here, also a kind of spiritual revival divorced from politics, and that makes me hopeful. Hi Rami, I found your writing on goal.com and I am visiting your blog now which is very interesting. I would like to inform you about early stage soccer social platform that my company just launched. It is called Fanspectrum and our mission is to create the global 12th man. Tunisisa,Algeria,Egypt and Morocco are fascinating soccer countries. I live in NYC too and it would be great to meet up and chat.email me at vibor@fanspectrum.com if interested.